Question: When did a papal intervention change the course of BBC history? 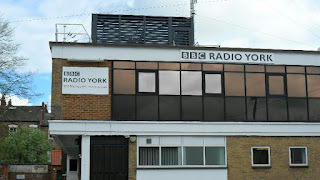 The answer, when Pope John Paul II visited the UK in 1982 and led to the opening, one year early, of BBC Radio York. For the benefit of the citizens of York and over quarter of a million pilgrims expected to converge on the Knavesmire Racecourse, BBC Radio York is being opened up for a day – a year early. To cover the papal visit a team of experienced local radio staff are broadcasting on a temporary transmitter for which the Home Office has given special permission. BBC Radio York goes on air at 6.0 pm on Sunday and will broadcast its own coverage until 9.0 pm on Spring Bank Holiday Monday. Those local radio staff came from BBC Radio’s Cleveland, Humberside, Leeds, Newcastle and Sheffield, all of whom shared some of the coverage over the weekend. Heading the team was Mike Hollingworth (Cleveland) with Michael Cooke (Sheffield), Chris Hawksworth (Leeds), Jack Baker (? ), Robin Pulford (Humberside), Harry Gration (Leeds), Liz Ambler (Leeds), Ian Wilson (? ), Peter Byrne (Leeds) and John Cundy (Leeds). Radio York’s coverage was transmitted on 666 kHz, or 450 metres, only and sounded a bit ropey 40 miles away in Goole where I recorded this tantalisingly brief snippet. 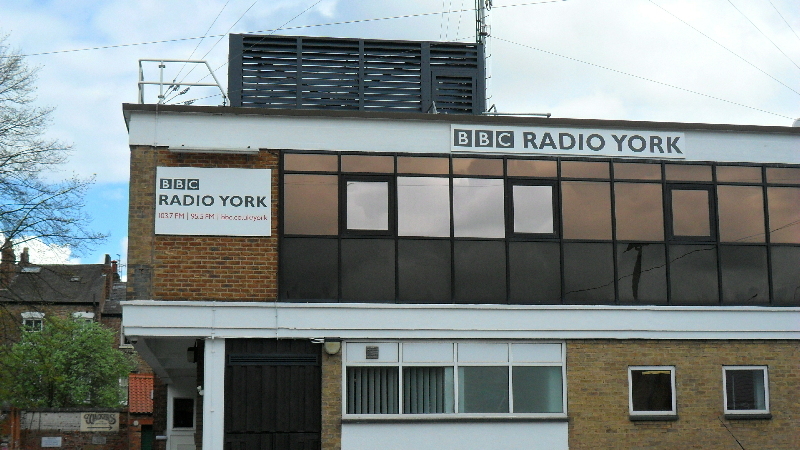 Radio York went on air for real on 4 July 1983. Thanks to Dave Rhodes for suggesting this blog post. The Eurovision Song Contest exists in its own musical bubble, long since divorced from any pop music you’ll hear on the radio (was it ever?). And as for the voting, with all the block voting and old alliances it’s just as enjoyable, perhaps more so, than the efforts of the singers. For many years the voices of Eurovision in the UK were Radio 2 colleagues Terry Wogan, Ray Moore and Colin Berry. Colin was spokesman for UK jury at Eurovision over 25 years from 1977 to 2002, as well as popping up on the Song for Europe shows. In an exclusive look behind the scenes I asked Colin if he’d reveal some of the secrets of the jury room. In the mid-70s the role of jury spokesperson had been in the capable hands (voice?) 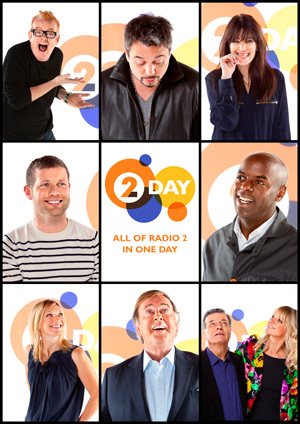 of Ray Moore but when he was asked to take over the Radio 2 commentary Ray suggested Colin’s name to the producers. 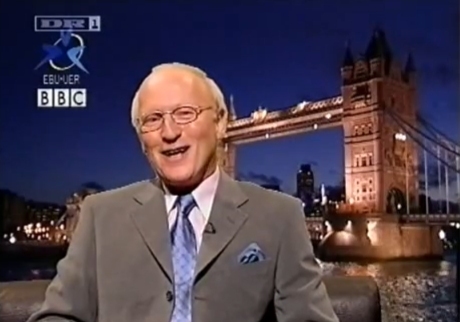 In 2002 the Beeb acknowledged Colin’s 25 years in the role and so threw him a lunch and presented him with a BBC inscribed microphone but at the same time they let it be known that changes were planned for the following year (as it transpired in the form of Lorraine Kelly) and that he’d no longer be required. This was despite supportive words from the King of Eurovision Terry Wogan who started his after-lunch speech by saying "I don't know why you’re getting rid of yer man....if it ain't broke why mend it?" Mind you Colin’s relationship with Eurovision didn’t end there. Keeping it in the family, his daughter Marina made a bid for a place in the 2010 final as part of the girl group Miss Fitz. They didn’t get through to Oslo; the UK was represented by Josh Dubovie (who?) who came 25th. 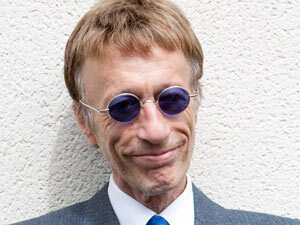 So what does Colin think of this year’s UK entry from Englebert Humperdink? “I would be very surprised if he clinches it for us,” he told me. “We are running out of ideas to put us in the running. You just can't shake off the political voting I'm afraid”. 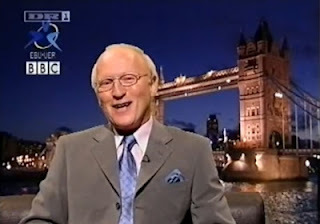 After 25 years closely watching Eurovision Colin has his favourites. Of the winners he loved Take Me to Your Heaven by Charlotte Nilsson. As a tribute to Robin Gibb here are The Bee Gees twenty one years ago in conversation with Nicky Campbell. As well as chatting to Nicky you’ll hear Robin, Maurice and Barry sing exclusive live versions of some of their best known hits. 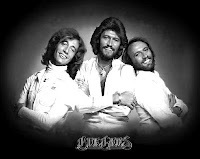 The programme The Bee Gees – Fraternally Yours was first broadcast on Radio 1 on 1st January 1991. This is an edited version. Time to rewind and hear the sound of BBC Radio 2 back in 1989. In the week that the network shakes up its schedule as part of this Thursday’s 2Day here’s my own Radio 2 mash-up with a chance to enjoy Thursday 9 February 1989 condensed into 20 minutes. So listen out for snatches of music from the likes of Frank Sinatra, Ella Fitzgerald and Jo Stafford (no bad thing) whom you’d be hard pressed to hear during the week these days. This year I’ve gone multimedia and posted the file on YouTube. OK, admittedly it’s not that exciting with added photos but it’s my first attempt. Incidentally John Dunn was sick on this day and taking his place was Charles Nove. For whatever reason I didn’t record Charles’s show. Last year’s 2Day was on 22 June 2011. 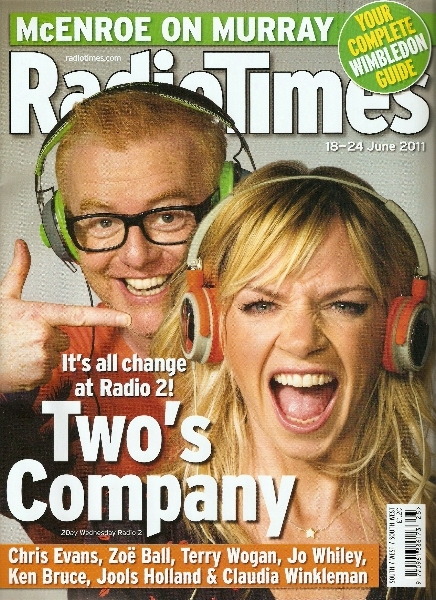 The station seemed keen to have Zoe Ball do the promotion and she featured on the cover of the Radio Times alongside Chris Evans. This is Zoe on BBC1’s The One Show. 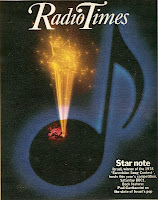 And last year I gave you Radio 2’s output for 3 April 1980 distilled into just 12 minutes. Here it is again. Good to see the British press celebrating the successes one of the BBC World Service’s shows. This article from the Daily Express is undated but my guess is I cut it out in 1979. It reads: “One of the world’s most popular broadcasters is British, works in London and yet is virtually unknown in this country”. It goes on to say “Sandi Jones a 34-year old housewife from Fareham, Hants is the unassuming hostess of one of the most popular radio programmes in the world. 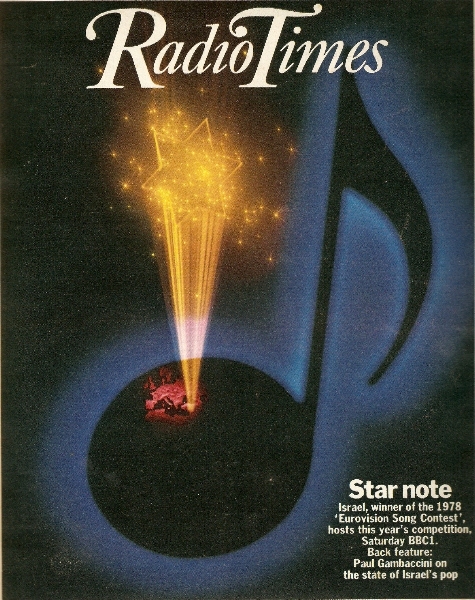 Each Sunday the BBC World Service broadcasts live the Sandi Jones request show, a 45-minute musical mixture ranging from classical to pop, with the accent on golden oldies”. Oh dear! “Virtually unknown”. “Housewife”. Well only if you ignore the fact that Sandi had been broadcasting for the previous decade and had hosted one of the most popular and longest running shows on British radio. Why she even had her own jingle! Sandi can still recall her first Family Favourites link: “I didn’t have time to be nervous because Mike was so easy to work with. He had a wicked sense of humour and we just bounced off each other.” Later when Sandi met Michael in London, he said, “Do you know there are little old ladies across Britain who think you and I are having an affair!” The BBC were impressed with Sandi’s style and she was asked to stand in for Michael when he went on leave and this led to her taking over the programme when she moved back to England. 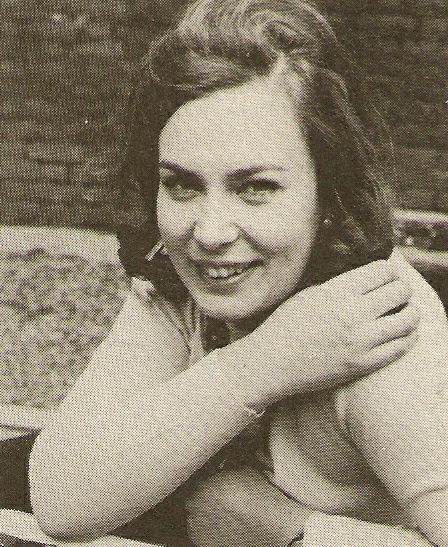 Whilst still hosting Family Favourites, she left the programme in 1976, Sandi became one of the main presenters of the World Service’s Request Show that started in late 1975. Also on the roster were Brian Matthew, Don Moss and later Tony Myatt. Sandi’s request show ran for the next ten years or so. In the meantime she was also working for her local BBC station, Radio Solent where she was regularly on air from 1978 to 2001. After hanging up her headphones Sandi worked as a guest courier with a tour company. I've no recordings of Sandi on the World Service - if you have please contact me - but here she is with a Family Favourites revival from 30 July 1995.